In a few weeks, I will travel to the east coast for the first part of a book promotion tour. I will be visiting Winthrop University in Rock Hill, South Carolina, where my colleague, Jennifer Disney, has arranged a lecture and book signing on March 25 as part of the celebration of the inauguration of the new University President, Jayne Marie Comstock. I'm excited to be participating in the week's events! Besides my Tuesday night lecture, I will also be leading a writing workshop for the campus community on Thursday, March 27, from 1100-1215. As a focus on this event, I have created a Goodreads Book Giveaway. 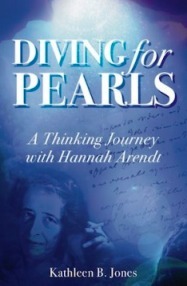 You can sign up for a chance to win a copy of my new book, Diving for Pearls: A Thinking Journey with Hannah Arendt by using the link below. Good luck! Giveaway ends March 15, 2014.